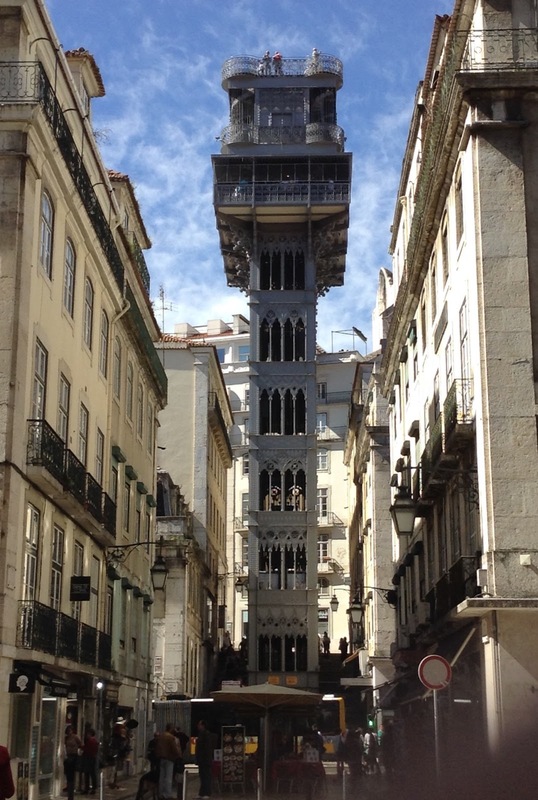 This tower is a lift from the streets of Baixa to the ruined church on Carmo Square. I suppose the Lisboans decided early on that they wanted no truck with climbing hills if they could help it. 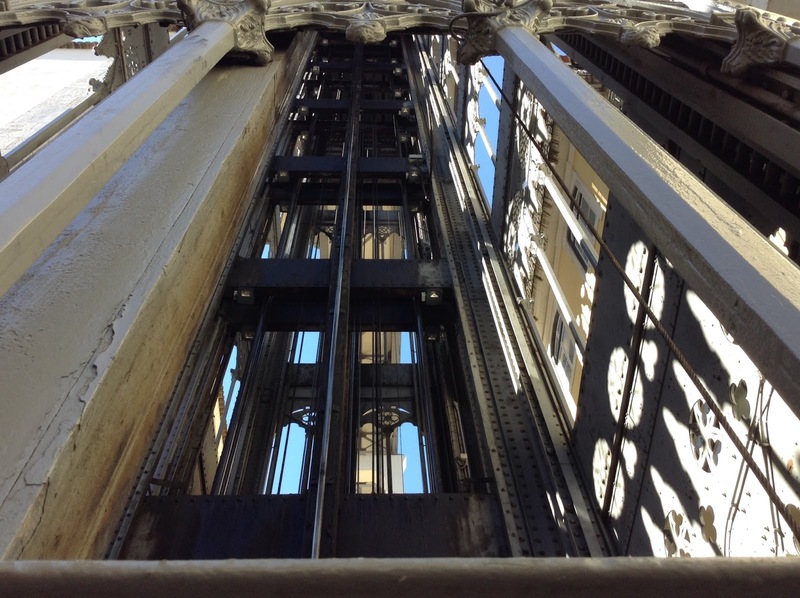 Lifts were developed throughout the 19th century, so by the time they got round to installing this it should have been just a case of designing the really beautiful metal framework. That didn't stop them starting off with a steam-powered lift in 1902 and converting to electricity in 1907. 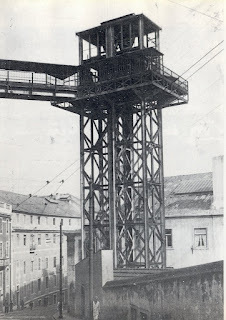 It's quite impressive to think that this thing has been in operation for 115 years. I can't quite imagine who used it originally. The leisured classes, I suspect, just like today. It's got a long line of tourists at both ends so I didn't even think about paying for the rid. If you're interested in a lift, you're better off looking at it from the outside anyway. 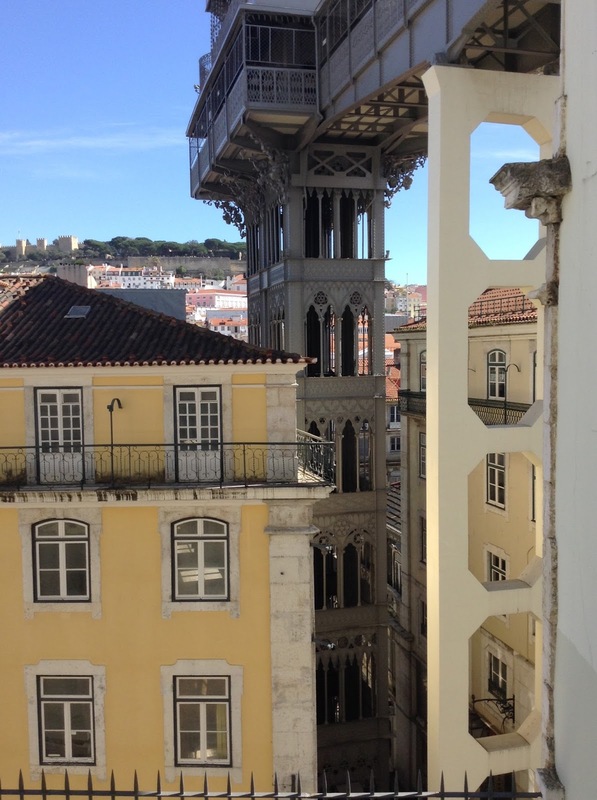 If it's a view you want, the one from the platform at the top is only slightly privileged, compared to the one from the adjacent terraces. It's funny the stuff you find out when you do just a little bit of research. It turns out Lisbon once had another vertical elevator called Elevador São Julião, or the Municipal Library Elevator. For some reason, it was much plainer, but also more political. 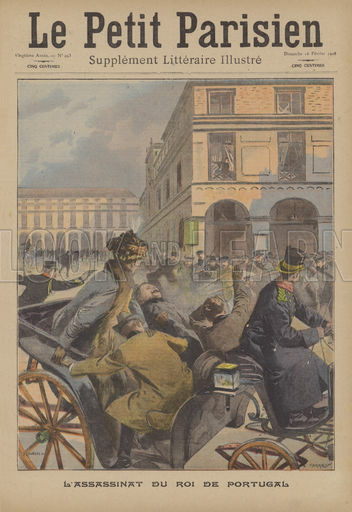 On 28 January 1908, a group of conspirators gathered around it with a view to staging a coup. This was because the king had installed a dictator which naturally led the ex-parliamentarians (the conspirators) to become a bit annoyed. Unfortunately for them, a policeman spotted them, and since the elevator was closed at the time, he didn't mistake them for a line. 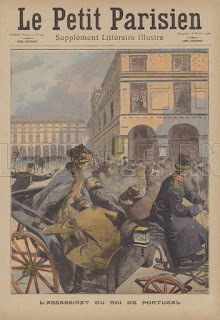 100 people were arrested and mostly deported, but just a few days later, this same movement led to the assassination of the king in Praça do Comércio, and ultimately, the end of the Portuguese monarchy. 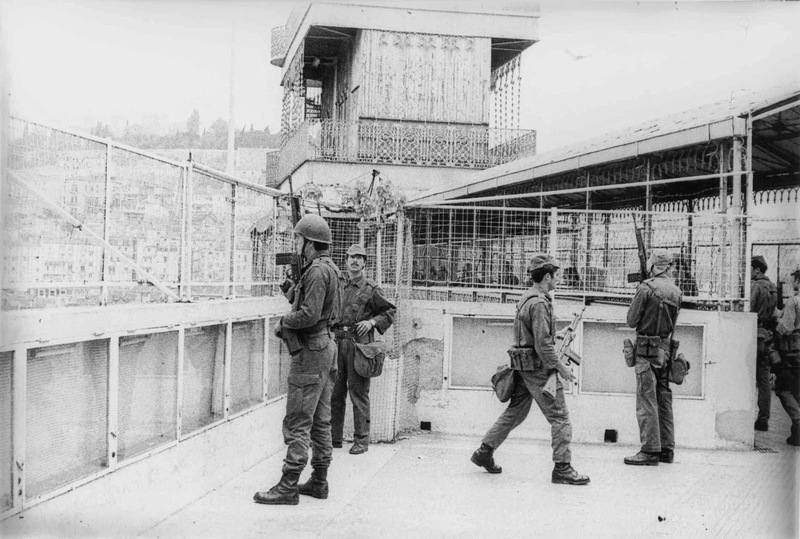 I found a cool picture of that, from a French newspaper of the time. The king's wife was French so I suppose they may have felt particularly interested. 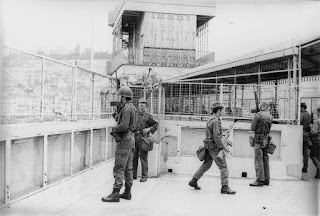 That was São Julião, but here, for good measure is a picture of soldiers occupying the platform of the Elevador de Santa Justa, during the Carnation Revolution of 1974.